Did you know that green tea should be steeped at 60-80°C? If you want to prepare the perfect brew, it is necessary to adjust water temperature. LAFE BKP001 allows you to easy prepare various coctails, juices & shakes! Kitchen & Dining RoomKettle LAFE CEG005 with heat controlLAFE CEG005 Electric Kettle is a device that should be present in any modern kitchen. With its 1.8 l glass jug, this model allows for the simultaneous preparation of approx. 6-7 cups of beverages. Modern controller with base featuring 360 degree contact controls temperature of the boiling water and protects the kettle from overheating. The controller also acts as a safety feature, automatically switching off the kettle if empty. The controller is also equipped with an adjustable thermostat, which can be set to one of five levels of water heating: 60, 70, 80, 90 and 100 degrees. The inside of the kettle illuminates based on whether the heater is enabled/disabled and its color varies depending on the current operating mode. Kitchen & Dining Room Toaster LAFE TSB003LAFE electric toaster is a device every toast amateur should own. It offers a simple and fast way of making toasts that everyone will love. Easy to use and clean, it is perfect for everyday use in the kitchen. The Lafe toaster is equipped with basic functions and the option of adjusting heating temperature, which allows for toasting of bread to a desired degree. "STOP" function allows you to turn off the toaster at any time. 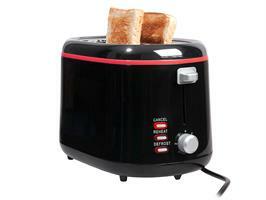 The device is designed to toast two slices of bread at a time. The product is also equipped with a useful crumb tray, so cleaning is very simple. In addition, our device features "Defrost" and "Reheat" functions, which may be activated using buttons on the side panel. Kitchen & Dining RoomElectric kettle LAFE CEG006 GlassLAFE CEG006 Electric Kettle is a device that should be present in any modern kitchen. With its 1.8 l glass jug, this model allows for the simultaneous preparation of approx. 6-7 cups of beverages. Modern controller with base featuring 360 degree contact controls temperature of the boiling water and protects the kettle from overheating during repeat use. The controller is equipped with a safety feature, which protects the kettle against overheating during repeat use and automatically switches off the kettle if turned on without water. The CEG006 model also features a water level indicator and a water filter, which prevents deposits from forming in the process of boiling. The kettle is very easy to use and very efficient, thanks to its power of 2200W. It is made with high-quality materials and the interior has been fitted with a blue backlight, which turns on at the start of heating and off after its completion. The CEG006 Kettle is also equipped with a filter for brewing tea. This allows you to prepare a whole jug of tea directly in the kettle. Planning to make some mojito or a refreshing cocktail with crushed ice? No more ice crushing on the countertop with whatever tool you have at hand! Dedicated blade will allow you to safely and efficiently prepare a cocktail with crushed ice directly in the blender! Did you know that green tea or Yerba Mate should be steeped at 60-80°C? If you want to prepare the perfect brew, it is necessary to adjust water temperature at which the kettle switches off so you can pour it over tea leaves immediately. Aren't you tired of hair static when drying them? Use a ionic hair dryer. Ionic technology relies on the release of millions of negative charges (ions), which – by settling on the hair -– neutralize positive charges resulting from the drying process and responsible for hair static. BiuletynSubscribe to our newsletter to receive exclusive offers and the latest news about Tracer brand and products.